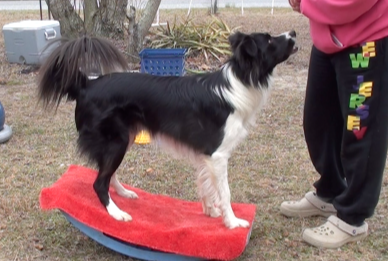 Are you interested in learning about canine conditioning? Do you have some equipment and do not know what exercises to do? Do you need other ideas of exercises to perform? 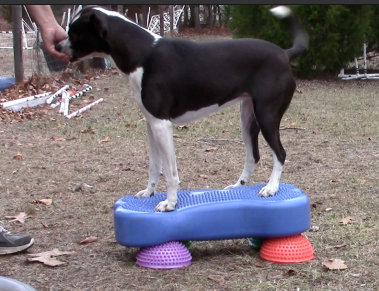 Have you seen pictures and videos of dogs doing cool stuff on fitness equipment but you have no idea how to teach it? 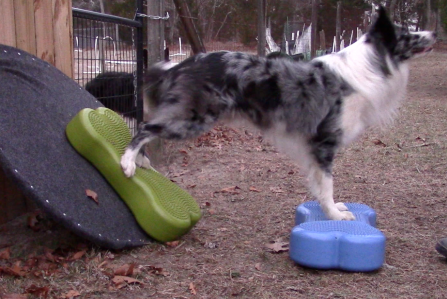 Canine Conditioning is very important for all dogs. From puppy to senior, from couch potato to the canine athlete, there are fun exercises to help improve your dogs overall well being. These exercises improve body awareness, balance, flexibility, mobility, and muscular strength. 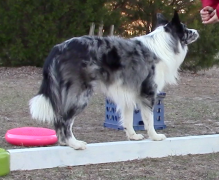 If you have a canine athlete that competes in agility, conformation, obedience, flyball, herding, etc, a fitness plan can improve performance and help prevent injury. 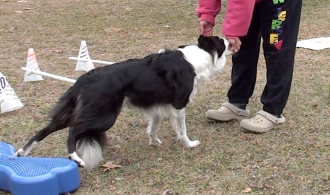 Besides the incredible physical benefits, doing these exercises will provide mental stimulation, strengthen the bond with your dog, increase dog’s confidence and create more focus. Plus it is really fun to do!! For All Dogs and All Sports ! !